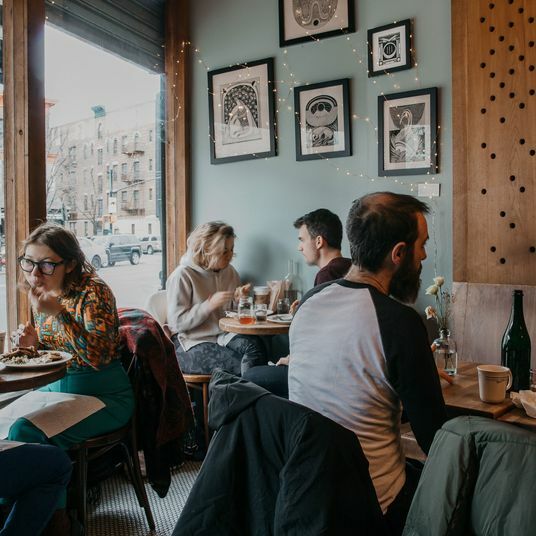 In recent years, the dining scene in Prospect Heights has emerged as one of the city’s most enviable, a mix of high-end and highly affordable, of resolutely modern and old-school. 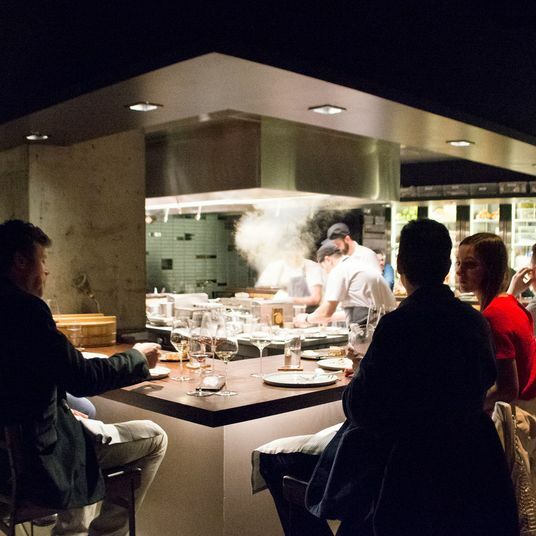 The range is impressive, from great jerk chicken and shrimp tacos to clams enrobed in carrot crêpes from an Alinea alum. 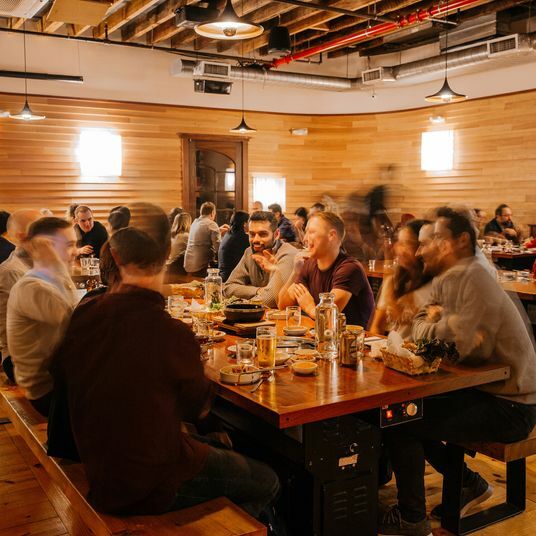 The best of these eclectic spots break free from convention and pretension, offering fun, value, and flavor in equal measure. 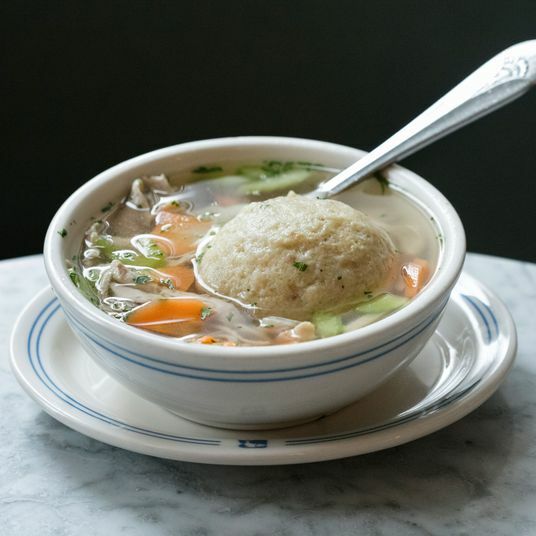 Here, the absolute best restaurants in Prospect Heights, which we define as south of Atlantic Avenue, north of Eastern Parkway, east of Flatbush Avenue, and west of Washington Avenue. 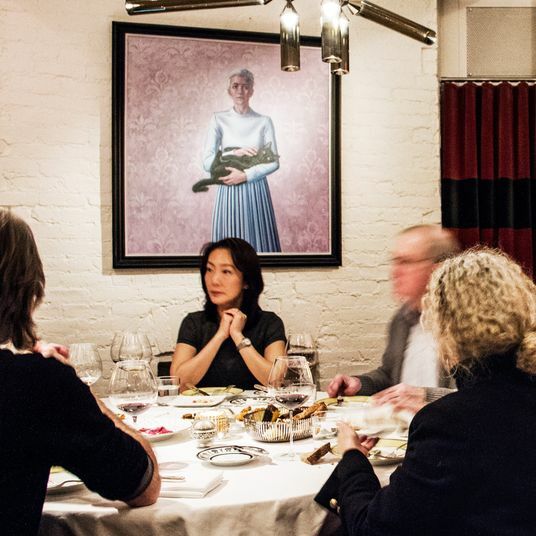 By now, the fine-dining refugee is a cliché, with chefs fleeing the tyranny of tweezers and tasting menus for calmer shores of casual dining. 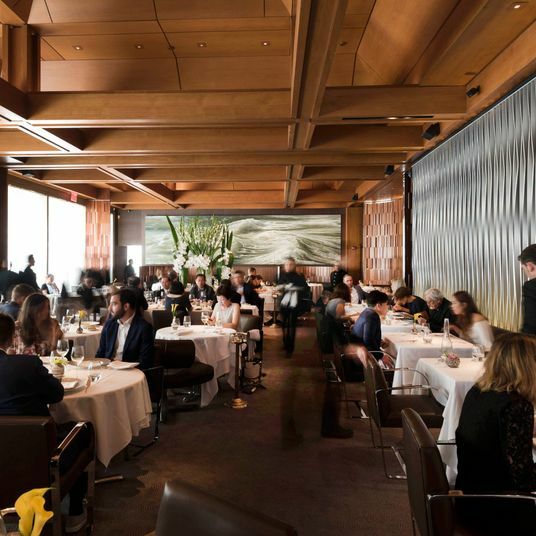 But with Olmsted, Greg Baxtrom, formerly of Per Se, Atera, and Alinea, has managed to pull off a magic trick: create a neighborhood restaurant more fun, more surprising, and more affordable than any gastronomic temple. 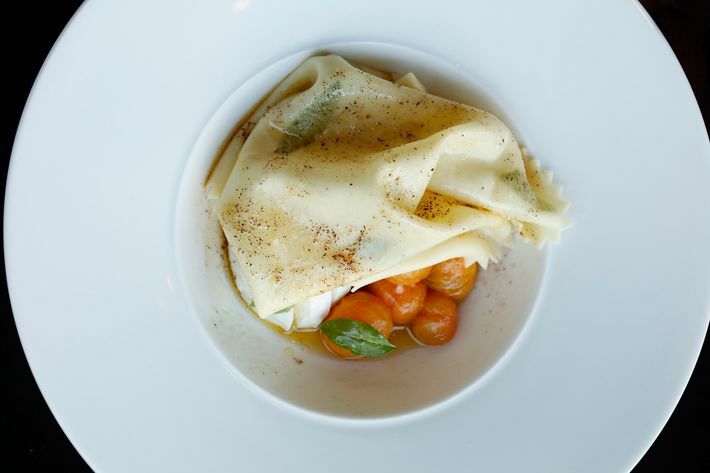 Here, kale-and-crab rangoons are served in Chinese-takeout containers, a guilty pleasure rebooted as indulgence; rutabaga is fashioned into long strands of “tagliatelle” bathed in brown butter and black truffles; and carrots become crêpes encasing briny clams, sunflowers supplying crunchy contrast. 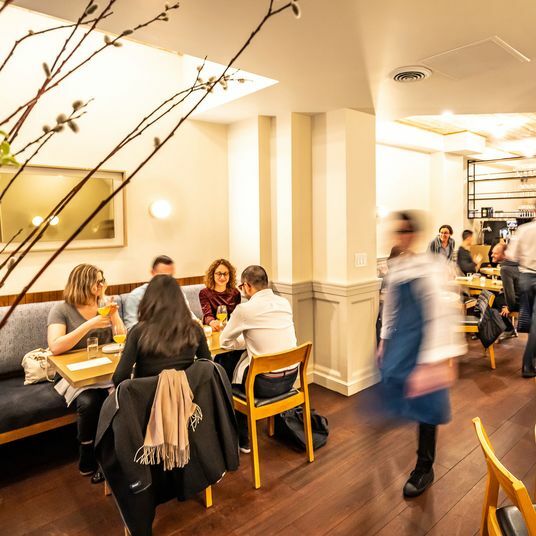 As befits a restaurant named for the landscape architect behind Central Park and Prospect Park, Olmsted is nearly as well known for its serene garden as for the kitchen it supplies with herbs and vegetables. Starting dinner off with a drink or snack out back enhances the experience, though the dining room is no less delightful. 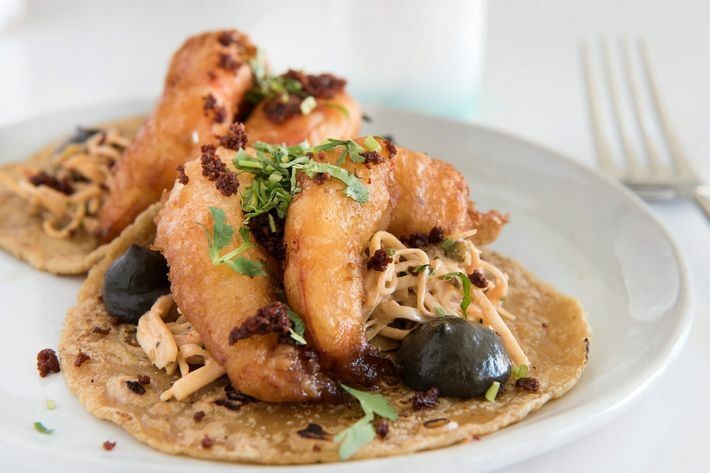 Take a seat at Alta Calidad (Spanish for “high quality”), a bright corner spot awash in sunlight and succulents, and the sleek black-and-white corn mural will tip you off to chef Akhtar Nawab’s tortilla reverence. The rustic rounds are made on-site and topped with crispy shrimp tempura, roasted skate wings, and chicken albóndigas anointed with coconut chutney, a flourish you’d expect from a former Gramercy Tavern chef. Nawab’s fare is both approachable and inventive, such as a torta starring chicken-fried steak, and sea scallops finished with shiitake salsa. While you can’t go wrong with a Mexican Coke, the tequila- and mezcal-tinged cocktails such as Coyote Wishes, given a hint of heat from Ancho Reyes chile liqueur, are worth ordering. 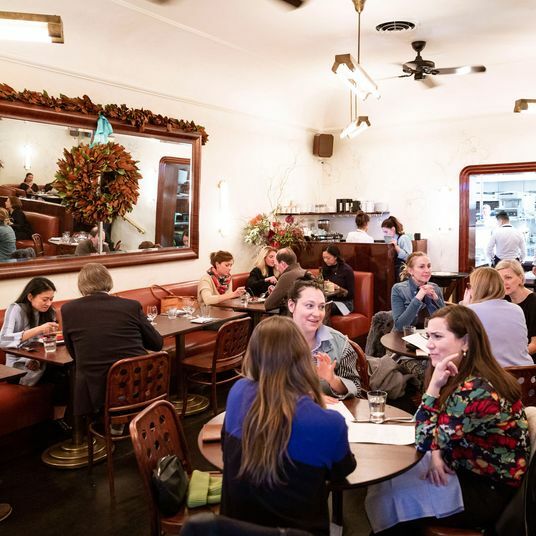 Decadence sided with the unexpected is on deck at the warm, Italian-influenced Faun, where you can dredge crispy chicken skins in a silky pool of chicken-liver mousse, and the housemade pastas (including a gluten-free option) are sauced with nettle pesto and tripe ragù. 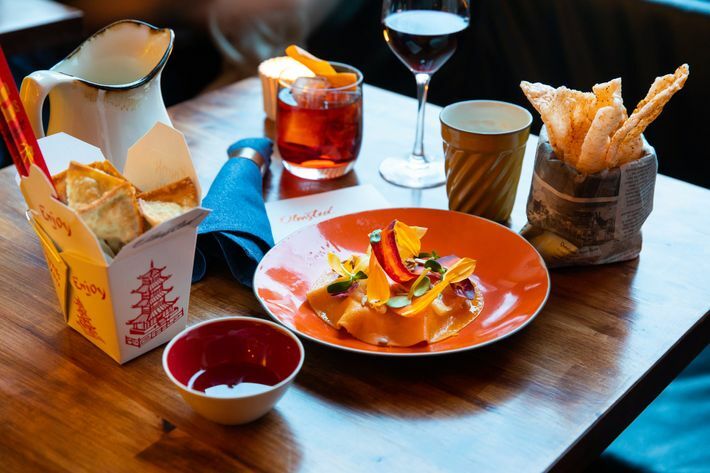 Brian Leth, formerly of Vinegar Hill House, leads the seasonally driven kitchen, plating, say, New Jersey–grown asparagus with speck and a fried egg, and serving pastas with Sun Gold tomatoes grown right in the restaurant’s lush backyard, a tranquil dining refuge. Brunch is no afterthought, with duck-confit hash and fluffy French toast topped with seared foie gras. 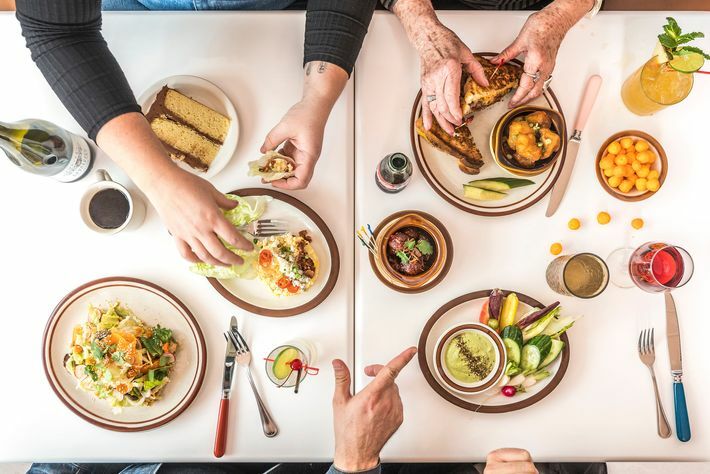 Few diners understand that comfort food should fill both heart and stomach, a concept fully embraced by queer-friendly Meme’s. Here, dinner guests are greeted with free bowls of orange cheese puffs, and the suitably gooey mac ’n’ cheese is crowned with contrasting potato chips. Pickled cauliflower, carrots, and olives dunked in the fryer are somehow more addictive than McDonald’s French fries. Meme’s pops in Technicolor during brunch, when folks cheerfully wait, and wait, and wait to order “milk and cereal,” a lustrous yogurt panna cotta topped with Corn Pops; fat chicken biscuits; and everything-bagel babka featuring a stratum of scallion cream cheese, the poppy-and-garlic topping scattering willy-nilly when you dig in. 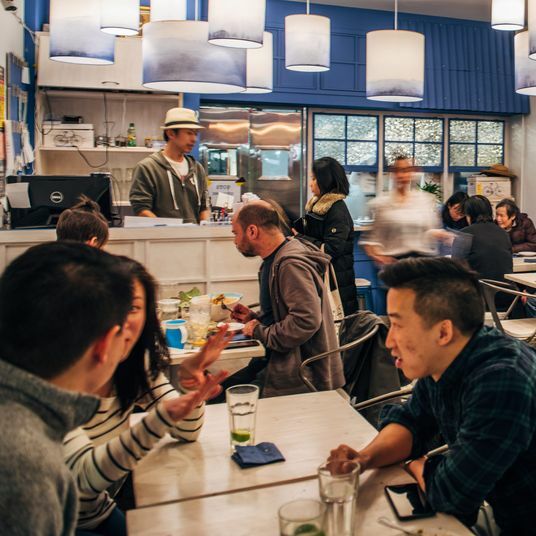 For heat fiends, eating authentic Thai once meant traveling to Queens neighborhoods like Elmhurst, where Plant Love House formerly served its pork-blood soup. Transplanted to Prospect Heights, Look has not lost its pungent verve. Crispy watercress salad is enlivened by chile-lime sauce, while the Bangkok-style tom yum, bobbing with pork-fish balls, is best ordered medium-spicy, lest you like incinerating your lips. 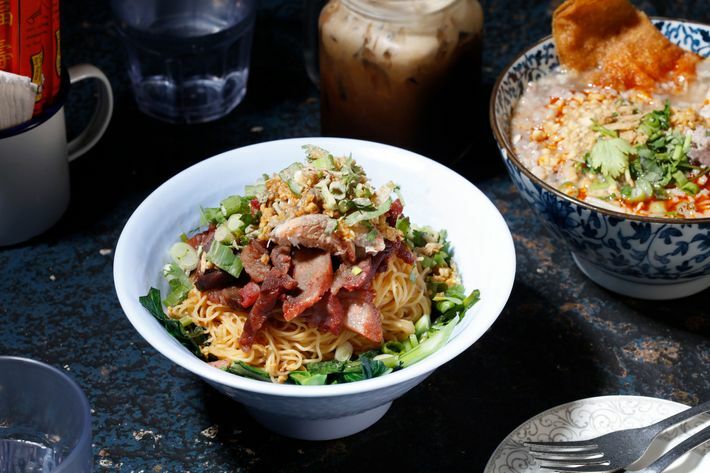 The noodle dishes, particularly the pad Thai, are plenty commendable, but the stars are the fried chunks of red snapper topped with a garden’s worth of Thai herbs, and the som tum tard, a hulking family-style sampler platter of Look’s greatest hits, including homemade Isan sausage, pork cracklings, papaya salad, sticky rice, and more. Jerk chicken that’s equally fiery and fall-apart tender. Plump shrimp swimming in a sea of fragrant coconut sauce. Curried goat so soft, you won’t mind staining your fingers yellow as you root for one last morsel. Bring a group of friends and order half the menu. You won’t find finer Caribbean food in the neighborhood. 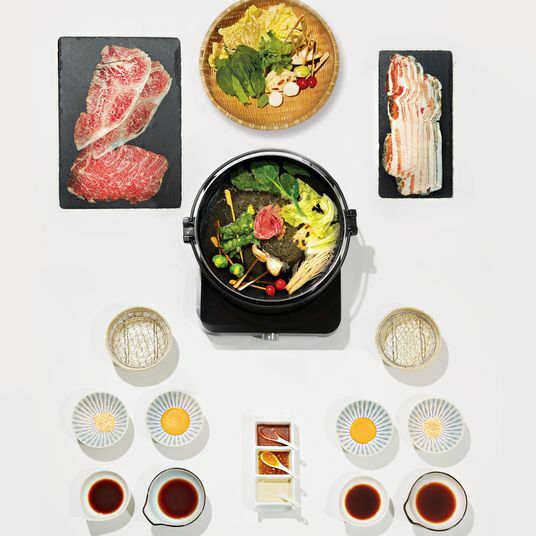 At this lively ramen slurp shop, vegetarians need not gaze sadly at their dining companions’ milky pork-bone broths. 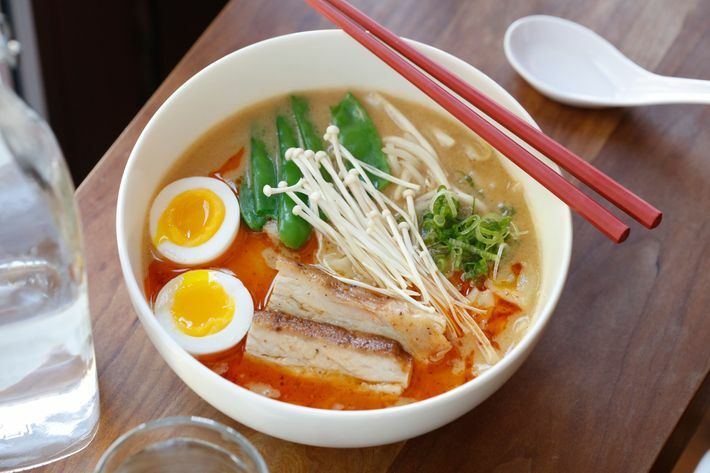 Chuko offers several meat-free soups, including a miso version loaded with snow peas and enoki mushrooms. Kick up your ramen with garlic-chile oil, then order a side of crispy Brussels sprouts finished with peanuts and fish sauce. 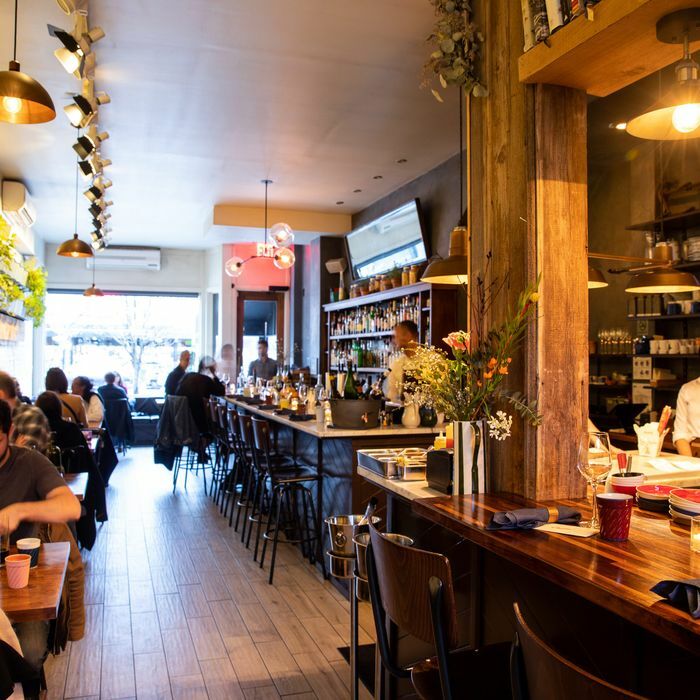 While locally sourced produce, dairy, and proteins are now standard operating procedure in New York restaurants, James was ahead of the curve when it opened on a quiet brownstone block in 2008. 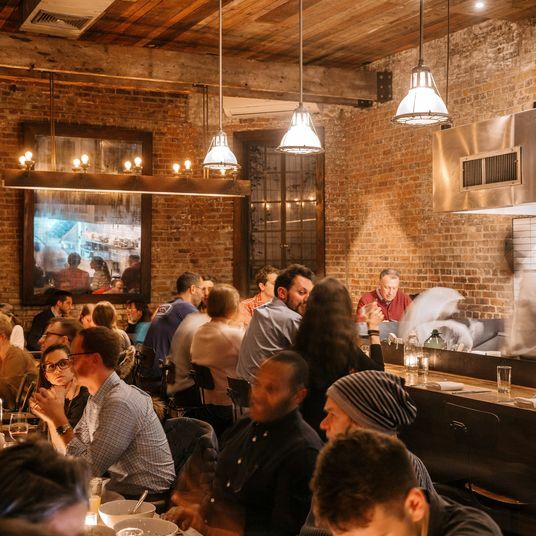 It’s since become a Prospect Heights standby, twinning skate to turmeric-dusted potatoes and topping crostini with seared wild mushrooms. Mondays bring the ever-popular burger night, with deals on half-pound behemoths made from Black Angus beef and cumin-dusted lamb. Order one with the citrusy James’ Revenge, made with rye and vermouth, and you’ll be a happy camper. 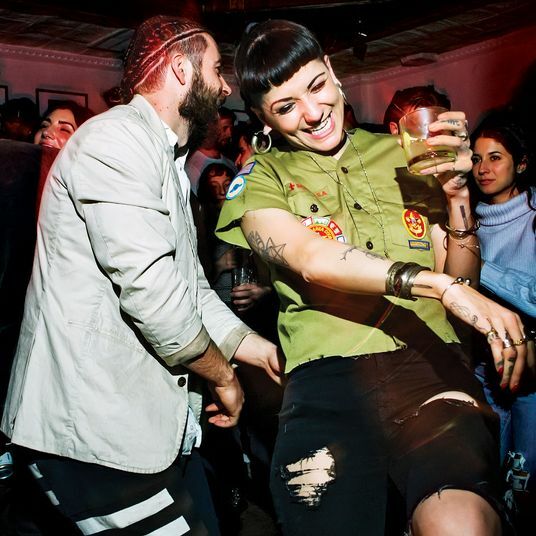 The original Franny’s location has turned into a tavern for 21st-century Brooklyn. 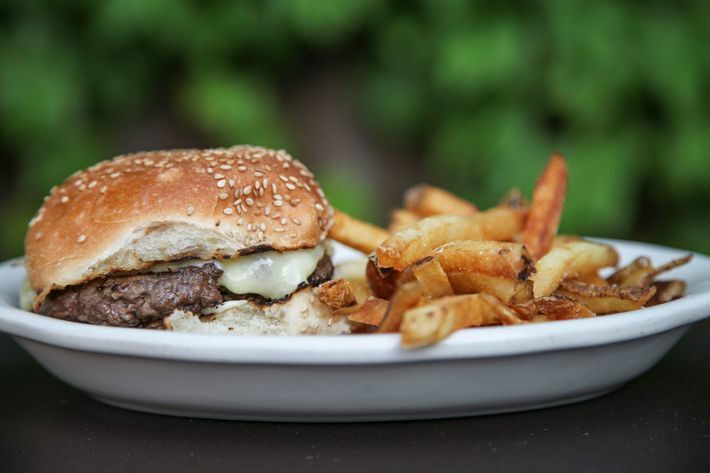 The dry-aged burger, one of the best around, is wood-grilled and served with housemade pickles. Tater tochos are topped with pulled smoked chicken and lime crema, Rose’s own hot sauce providing a kick that’ll leave you grasping for a local beer from Brooklyn’s Interboro or Other Half. Even the shot combo has been updated: red wine and a toot of bourbon. 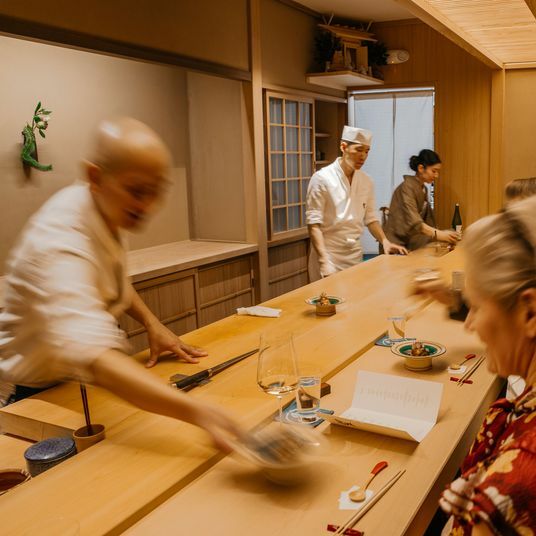 For more than three decades, Geido has been the neighborhood’s go-to for peerless sushi, prepared fresh and for a fair price. The rolls don’t rewrite the rule book, but the spicy tuna ticks every box, and the sumo maki unites fish roe, avocado, asparagus, and more. 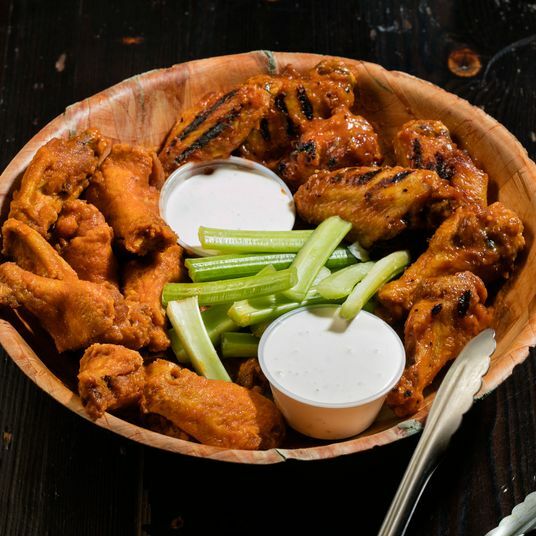 Saul Bolton and Ben Daitz’s restaurant delivers classed-up bar food, including duck wings finished with sweet chile and goat cheese, and tempura veggies dunked in garlic soy sauce. 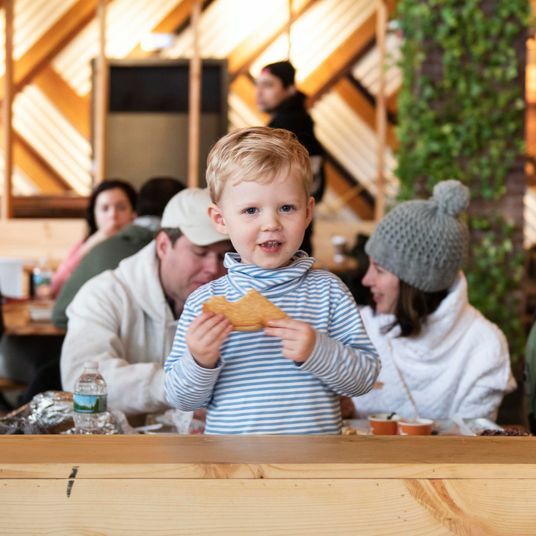 Bolton’s brand of Brooklyn Bangers sausages, notably the cheddar bratwurst and the snappy hot dog made from brisket, are standouts. 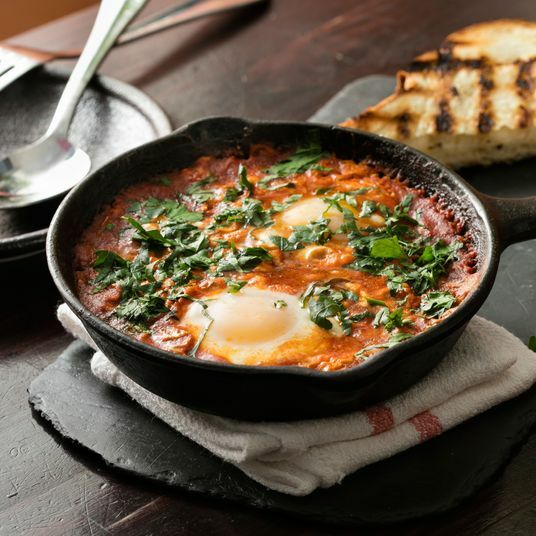 Brunch is also a solid bet, including the spicy grits and corned-beef hash. 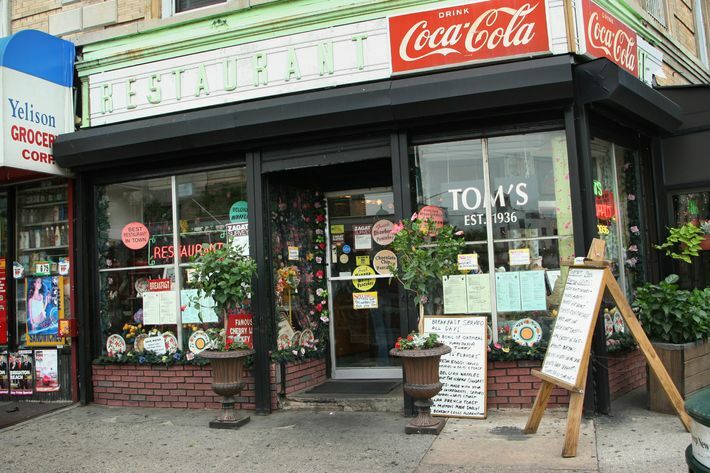 On weekends, the lines start early for this landmark local diner, in operation since 1936. 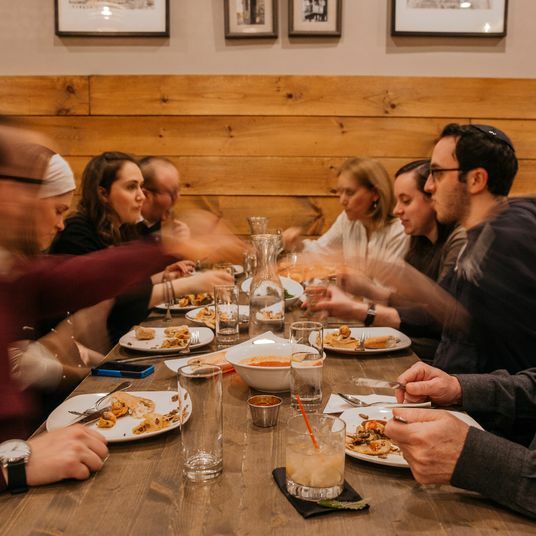 While you wait, the servers ply you with free cookies and orange slices, whetting your appetite for the restaurant’s specialty: fluffy pancakes, preferably the lemon ricotta, paired with an egg cream. Fried chicken, cracker-crispy and cooked to order, shines at this humble soul-food restaurant, where the service is as sweet as the towering slices of red-velvet cake. Fried catfish is also a fine order, and for sides, snag the buttery corn bread and slow-cooked collard greens. 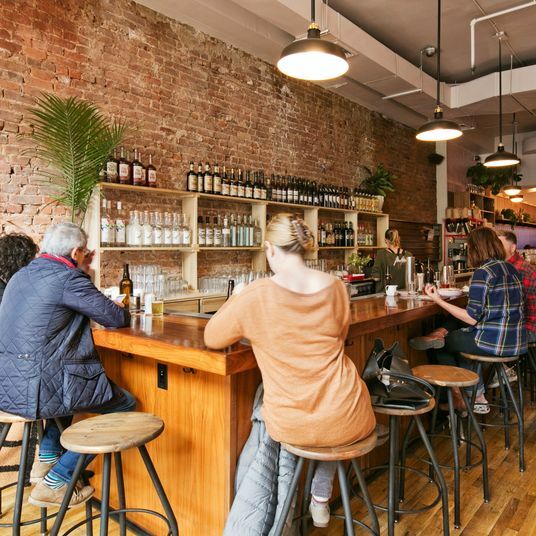 Near the Brooklyn Public Library you’ll find this bright, homey, and kid-friendly restaurant that’s become a brunch stalwart. Mushroom quiche and brioche French toast with Chantilly cream are always smart orders, as are the poached eggs perched atop salmon hash. Maple-cured bacon makes the BLT a must. 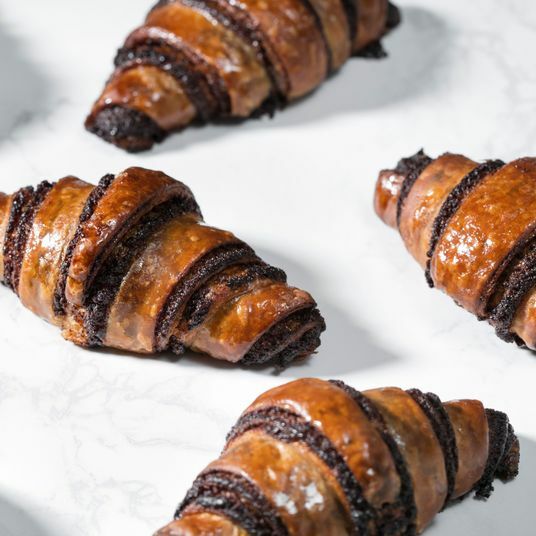 Amorina’s specialty is crisp and crunchy Roman-style pizzas anointed with elevated toppings such as prosciutto and wine-soaked figs, or maybe Gorgonzola and caramelized pears. Combine with a pasta, like the lasagna layered with meat ragù, and consider dinner conquered. 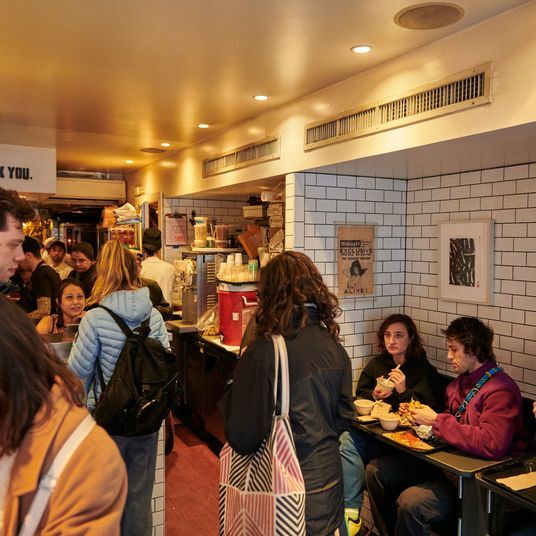 When the craving hits for rice and beans paired with melting hunks of roast pork, or rotisserie chicken with skin like crunchy brown candy, beeline to this Dominican mainstay that’s open from morning (7 a.m.) to midnight. The pressed Cubano makes for a perfect lunch.